Move along now, folks, nothing to see here. Residents and tourists who drive and boat through Laglio, Italy are being warned to steer clear of George Clooney’s lavish property, or else. Mayor Pozzi issued the ordinance to protect the solace of the couple, their entourage, and their two villas–Villa Oleandra and Villa Margherita, the Telegraph reports. Clooney purchased the 18th century Lake Como property in 2002, which immediately became a haven for photographers and fans, who have often been caught loitering to get photos and autographs. The Telegraph reports some autograph-seekers have even rung the doorbell. 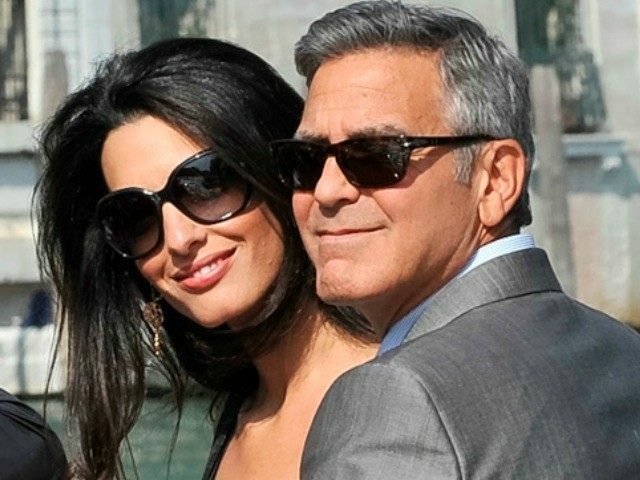 A year ago, Clooney purchased the adjoining property, Villa Margherita, to increase his privacy. That area has also been deemed a no-go zone for fans and paparazzi. The actor secured two temporary protective orders last summer to prevent paparazzi from getting close to the properties ahead of his wedding to human-rights attorney Amal Alamuddin. The orders strictly prohibited anyone from stopping near the villas, and remained in effect 24 hours a day, until Sept. 30. Last fall, fellow A-list actor Christian Bale criticized George for his battle with the cameras.